The term ‘Paulman Acre’ or ‘us’ or ‘we’ refers to the owner of the website whose registered office is PO Box 2581 Carlsbad, CA 92018. We are registered and licensed business entity in California, USA. The term ‘you’ refers to the user or viewer of our website. 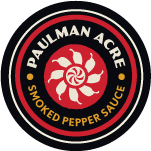 You may create a links to this website from another website or document, but you are required to notify Paulman Acre within 24 hours of doing so. Your use of this website and any dispute arising out of such use of the website is subject to the laws of the state of California, USofA.